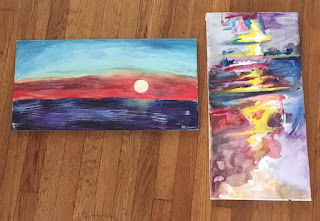 "remember to fall in love with your painting at every stage, it will never be this way again"
That hit my heart hard! I wait and reserve my love or appreciation until the end and only if I like the end result. This reminder of loving the process no matter how messy it might be in the moment was so powerful. I realized this trait of mine with painting blends into every aspect of my life. I will be happy when.... We have enough money, the car is fixed, the children are grown and don't misbehave, when I lose the baby weight, when I get that next certification, when we are on that vacation... Looking back I see those same reservations and when I get to "the end" I am already onto the next thing... the husband, the kids, the house, the certification, the weight loss, the events... whatever it is. I was reminded that night and I am continuing to remind myself daily to LOVE this life, this moment, this mess, this frustration, this joy.. because it will never be this way again,. This is life! To live it. To love it. To be useful to others. Because we never know what moment could change things and to not reserve my happiness for a later date or a completed check list. Being a dedicated student of yoga I believe my dharma is to alchemize my soul to grow and learn and help others. I study, I read, I practice, I teach, I forget. and I am incredibly grateful for all the little reminders I get to wake up to my path and continue my souls journey of LOVE. Thank you Sarah for always reminding me to be in the love, to ditch the lists, and love the process. Check out Sarah's blog here. 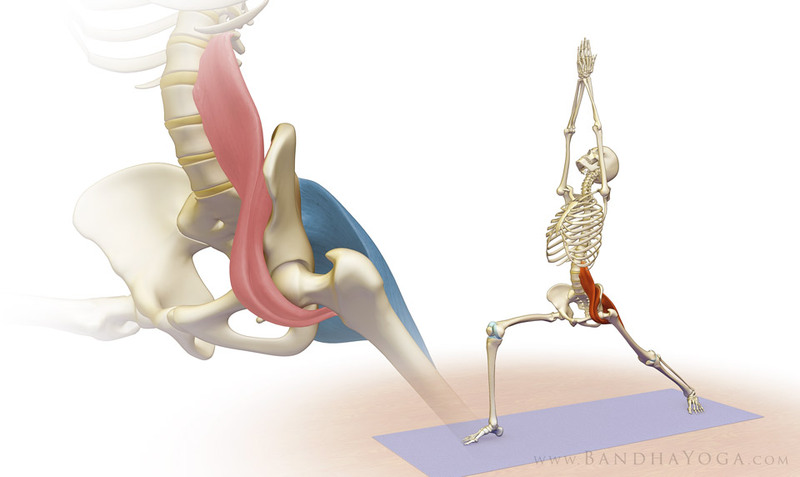 Last month we focused on the psoas muscles in my anuara yoga classes. We learned different ways a tights psoas can manifest in our body, negatively impacting our posture + our health. We learned how to lengthen our psoas to support our well being. Check out these two short videos I made: summarizing the psoas and how to best lengthen it and the pose of the month that we did at least once in every class. This is why I am a student of yoga. It helps me learn and grow. This is why I am a teacher so I can help others in their personal journey to growth. The universal principles we were using in our postures were muscular energy engaging the muscles, thigh loop, moving the lower attachment site of the psoas back and internally rotating the thighs with inner spiral. Drawing the ribs in to move the top psoas attachment site back with kidney loop and then extending out with organic energy. Theme Durga and pacha mama. Durga is the maha goddess. The mother to us all. For Mother's Day can we feel her love and giver her love. Durga teacher love, tolerance, patience and strength. Can we practice living in this way. The watch pacha mama is also mother to us all can we be mindful of how our actions affect the earth. Can we now with deep respect to Durga, to the earth, to all of our mothers, and to the mother within ourself. Can we also cultivate some forgiveness to our mothers. Theme: what is tattooed in your heart. What messages do you imprint within yourself and send out to the world with your thoughts, words, actions. We can consciously choose our inner tattoo by being aware of this and add new imprints with affirmations, mantra, prayer, meditation. Ancedote: hanuman rips open his chest to reveal sita ram sita ram. In the ramaya there is lots that happens with the great character Hanuman. When he is little he jumps to the sun thinking it's a mango lord of thunder old breaks his jaw. Hanuman one with broken jaw. Going into cave at center of earth he gets still and realize he has all these super powers... he becomes a yogi and asks what is he in service of. Then he finds Ram the one who incarnates for dharma, for living in the highest way connected aways to the heart. And Rams beloved Sita who is the embodiment of unconditional love. 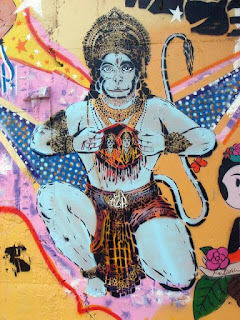 When Hanuman becomes a devotee of Ram he is committed to living in the highest, connected to the heart and unconditional LOVE. At the end of story hanuman stands in royal palace and Ram, Sita and royal kingdom are there and they give him the most gorgeous jewels to thank him for his service. Hanuman bites them, stomps on them, hits them... The court is like "what is happening? why are you destroying this gift?" Hanuman says if they are so valuable why don't they have the names of Sita and Ram inscribed on them? That's what I am looking for and I can't find it. Then he stands and he takes his hands and he opens the center of his chest and reveals that in his heart, ribs, all the space in his chest is inscribed with "Sita Ram Sita Ram Sita Ram Sita Ram Sita Ram Sita Ram.." because his whole life has been in service to living in the highest, and uncoditinal love. It's the inner tatto system. If you opened the center of your heart what would be inscribed there? Or another way I like to think about it is at the end of the day before you go to bed and you review your day and you ask "what really matters?" with all the catastrophes and joy why really matters? I imagine humanity across the board will look into the heart space and ask how did I love, how did I receive love and the way that we make ourself vulnerable open and exposed to be able to say this is me. This is my essence. like how hanuman says this is me and I am full of love and devotion!!! Theme: what is the legacy you want to leave? cutting cords of negative habits for future generations! we can engage with the world in a more harmonious way because of the inner work we are doing (skillfull action) we are not passing down dysfunctional patterns to future generations. We are cutting the cord! The Bhagavad Gita tells us that karma yoga - the path of service to other - is a fast lane to spiritual fulfillment. This is so so so SO important to me. Specifically around body image and beauty obsession. Society is teaching us this false image of beauty of being thin and overly manicured. I can look back and see how the adults around me modeled this to me along along with society. It's even worse now with photoshop and Instagram. I DO NOT AND WILL NOT PASS THESE LIES TO MY CHILDREN. Coupled with my awareness and my yoga practice I will not pinch myself in the mirror and call myself fat. In fact "fat" and "skinny" are swear words in my house. I will teach my children that our bodies are containers for our soul. 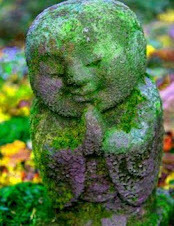 We want to take care of them so we can feel vital in our bodies and contact to our soul and have clear thinking. It's hard to connect to our sparkling spirit and our mind when our body is injured and not cared for. However, speaking from personal experience, I can get to caught up in my body and appearance so much that I miss the fact that it's the experience of my soul and being of serve to others that really matter. I know that loving myself, my body and modeling a healthy body image for my kids is karma yoga. Because I am consciously cutting the cord of addiction and eating disorders for them. This is a practice I am deeply committed to!